The Safecall Wireless Nursecall system is an advanced wireless call system offering simple, fast and easy installation. 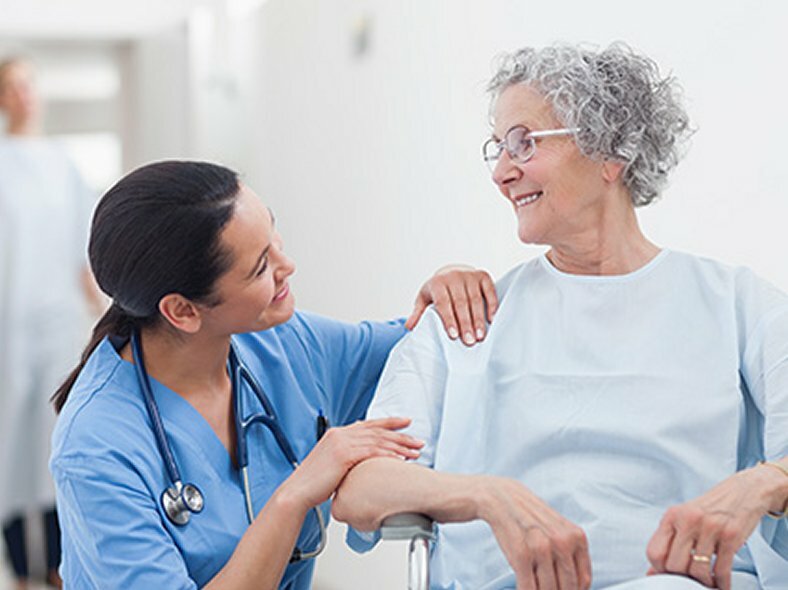 Wireless Nurse Call offers greater flexibility for users. It is a secure, professional system using the dedicated Pan European 869Mhz alarm frequency in conjunction with Listen Before Talk anti collision technology to ensure patient safety. With its unique two-way system, the call point transmits until it receives acceptance of the call from the display panel, ensuring that all calls are received securely. 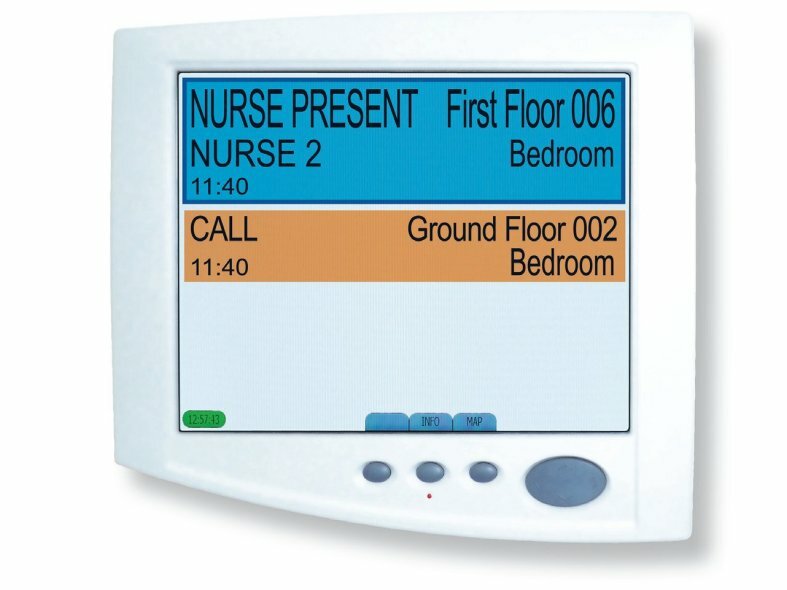 Simple to install and use the Safecall system is based around a Nursecall display panel, with a 15" TFT flat screen. Information is displayed in clear full text layout with the option of a mapping facility and bespoke standby screen graphics. Simple to install and use the Safecall system is based around a Nursecall display panel, with a 15" TFT flat screen. Information is displayed in clear full text layout with the option of a mapping facility and bespoke standby screen graphics. A battery back up giving up to 4 hours back up power is also supplied with the unit. Detailed information including type of call and location of call, are displayed on the panel along with the status of the call. Each call type is allocated a different sounder tone to help staff identify the priority level. Call location can then be displayed on an optional floor plan screen along with the Patients name and further short medical information. The Safecall Nursecall transmitters incorporate the latest wireless technology. Calls are acknowledged by a reassurance LED, sounder and a status message on a clear high quality led display. The Safecall Nursecall transmitters incorporate the latest wireless technology. Calls are acknowledged by a reassurance LED, sounder and a status message on a clear high quality led display. Buttons are colour coded to the latest HTM and have anti-microbial additives to reduce infection risk. The Nursecall transmitter will also display a 'Next Call Waiting' message enabling staff to quickly respond to the next call and thus save time not having to return to the staff station. The unit is supplied with a wall mounted bracket which can also incorporate a cradle to hold the Safecall pear push unit. The Pear push unit is securely locked in to the Nursecall transmitter and has a tamper alarm should it be removed. Further monitoring devices and accessories can also be plugged in to the three sockets on the Nursecall transmitter. The Pear push unit is plugged in to the Nursecall transmitter and gives reassurance to less mobile patients that they still have access to make a call. SC47 - Safecall Pear push with 2 metre lead for use with Nursecall transmitter. SC48 - Safecall Pear push cradle - The Pear push cradle is attached to the wall mounting bracket.